Although it seemed like a mere document of the indie movement when it appeared in 1986, it’s really only in retrospect that the importance of C86 has been understood. What was ironic was the fact that the cassette compilation wasn’t even the first to chronicle some facets of the indie scene. 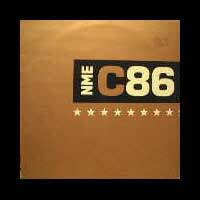 Five years earlier, in 1981, C81 had appeared (both were products of the New Musical Express, with tracks chosen by its writers), to much smaller fanfare. C81 was perhaps, the first cassette compilation to appear and celebrate the post-punk/growing indie scene. A collaboration between NME and the Rough Trade label, it was available to NME readers who collected two coupons and sent in £1.50. To the paper’s surprise they were overwhelmed by the demand, as some 30,000 people wanted copies. Containing 24 tracks, it veered from avant-garde jazz to post-punk, Two Tone ska to poetry, a veritable something for everyone. The sheer number of people who heard C81 made it probably the most influential compilation of the first half of the 1980s. It was five years before NME revisited this style of compilation. Put together by three staff journalists, C86 was a much more diverse collection than its predecessor, with contributions from several different labels, rather than just Rough Trade. In that, though, it simply reflected the growth and greater diversity of the indie scene, which had burgeoned over the previous half decade. What’s interesting is how many of the bands presented on the tape went on to larger careers – six out of 22. In a very curious twist, though, it was a particular style, fey and jangly, that became associated with C86 (whereas the bands that achieved the greatest success had a harder sound), although it actually represented only a small portion of the music on the cassette. Quite how a C86 scene formed is an interesting mystery, but different pockets did rise around the country, with Bristol’s Sarah label issuing a number of singles by bands with a softer sound. It was an active rejection of traditional rock values, and a concerted move away from a testosterone-fuelled sound which had been such a vital part of rock music. It remained very much underground, possibly as much by design as anything, and because of that it remained relatively obscure, although its influence could be seen in some later bands, such as Belle and Sebastian. The influence and importance of C86 – the tape, rather than the scene – meant that it would inevitably be celebrated. The first time was on its 10th anniversary, with C96, which largely went unremarked as the U.K. revelled in the onslaught of Britpop. The second occasion came 20 years after the initial release, with a great deal more media fanfare. Not only was there a download compilation of bands influenced by the original cassette, called C06, there was also CD86 (ironically on the fairly large Sanctuary label, hardly an independent), which offered a wider retrospective look at the indie pop scene. It was accompanied by two nights of concerts at the ICA in London and the first showing of Hungry Beat, a documentary about the 80s indie scene. However, to commemorate it that way is perfectly understandable. Few compilations have had such an influence or documented a scene so thoroughly (possibly the only equivalent would be Deep Six, which offered an early snapshot of the Seattle scene that would become grunge).